I have this insect in my yard and I've never seen one before. Can you identify it? It is one of the Hemipterans and I believe a Reduviid that is predatory on other insects. Some of the Reduviids, however, are phytophagous and feed on plant saps using a piercing sucking mouthpart. 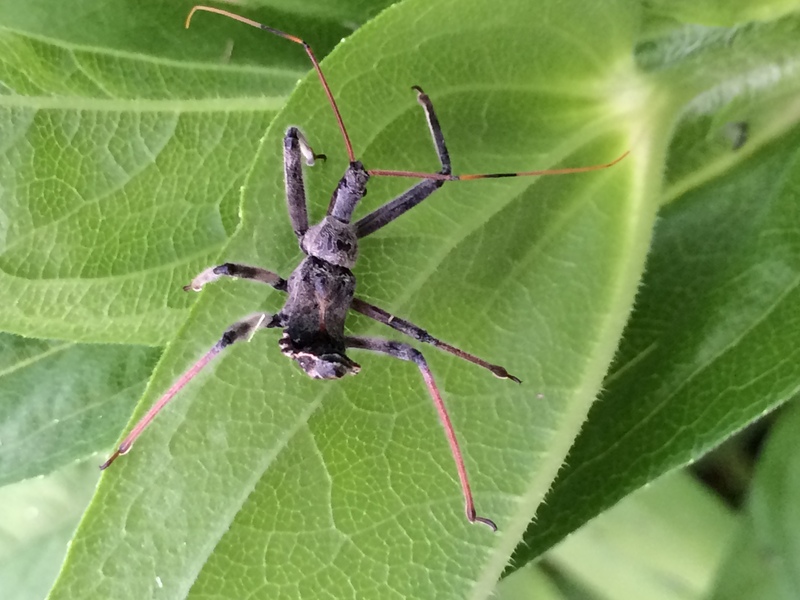 Google “Assassin bug” and then look at images. You will see some that hold the abdomen up at the end and look like what you sent. They are predators - good guys, as my grandson would say. Hope this helps.